Well let us have a look at the watch winder I got over the weekend. 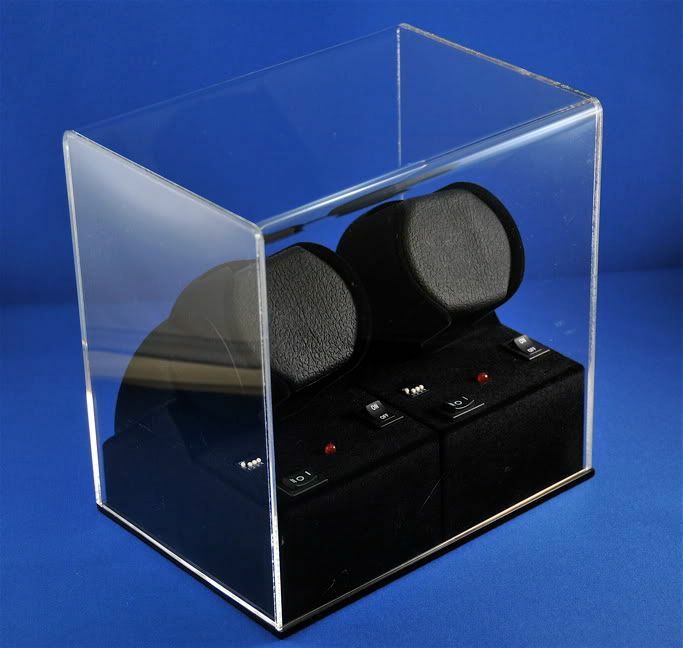 It is called BOXY P-02B-C Acrylic Watch Winder. It is made in Taiwan by a company called ABEST Product Resourcing Inc. I believe they are based in Taichung. A picture of the product below. 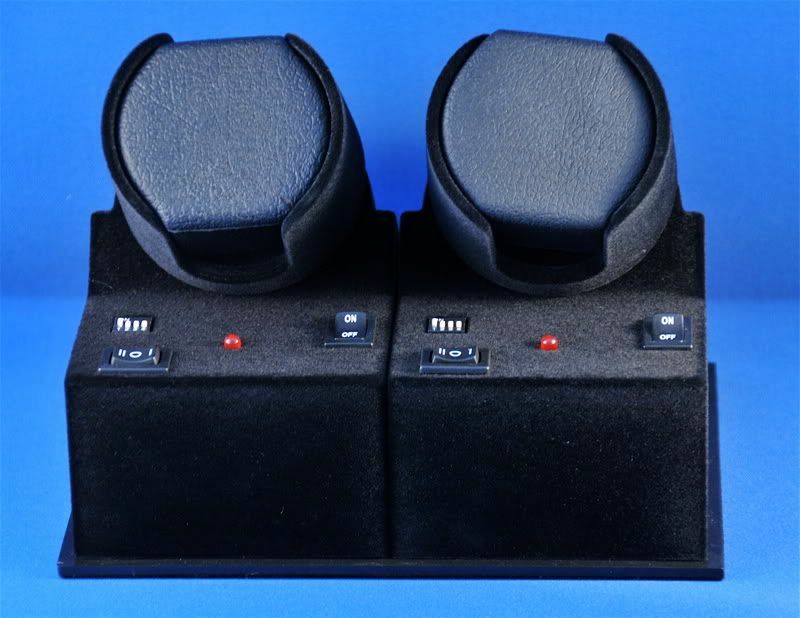 It is a twin watch winder. Size: 20 x 14.5 x 18.5cm. 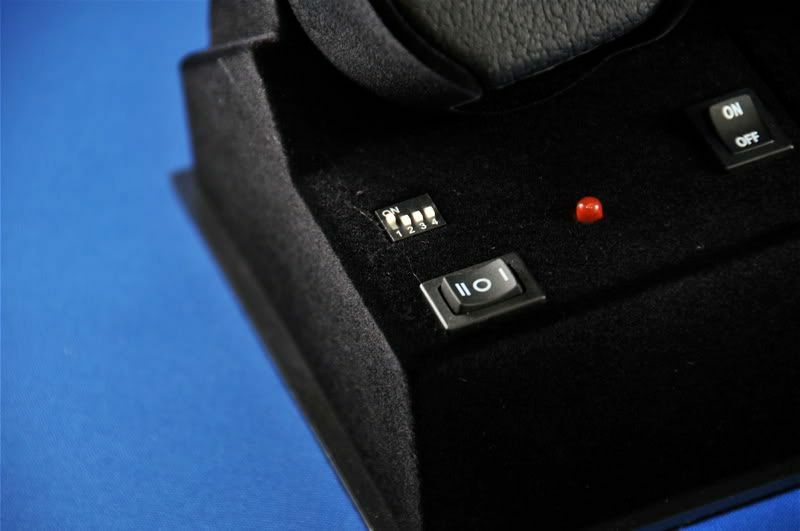 It has a black velvet finish and can be powered by batteries or external power. What is great is that the external power supply is multi voltage and frequency, thus making it a world traveller. Basically it looks like 2 winders mounted on a single base. 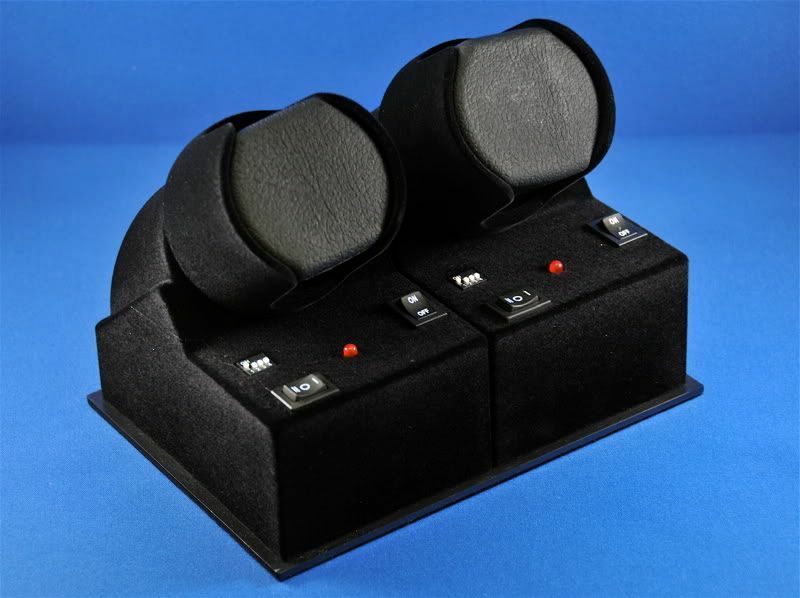 Each winder can be powered and controlled individually (batteries) or via external power. The motor for the winder is from Japan. The cup is made from ABS plastic and is lined internally by velvet. The cup will hold watches up to 55mm. For those who are getting the recently launched Panerai PAM00341, which comes in at 60mm, well ....... The rotation is smooth and can rotate both ways, which is great for uni-direction wound movement. 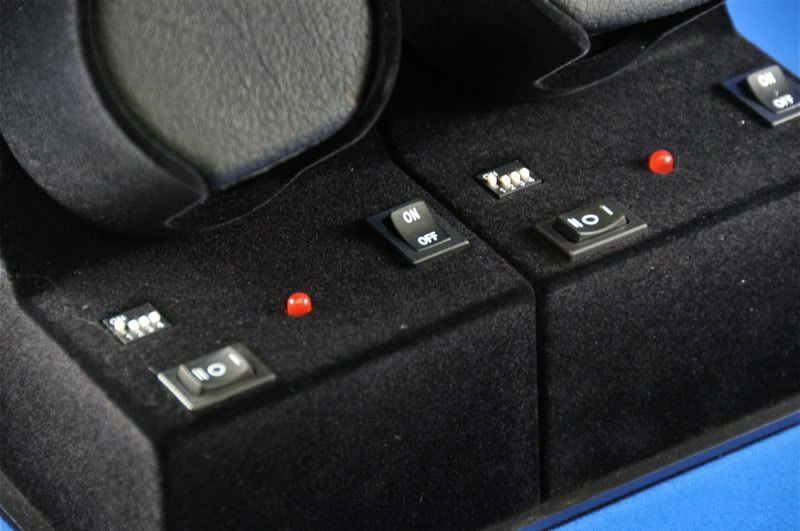 The control panel is made of metal and is covered with velvet. On the panel are the controls for switching the winder on and off. The rocker switch on the lower left corner is to control direction of rotation. The red LED is to indicate low battery power. The dip switch is to control the TPD (turns per day) and the interval. You can adjust the TPD between 650 to 3,600 TPD and the interval between 24 to 133 seconds. Overall, I am happy with the watch winder. The workmanship of the winder is pretty good and offers what I think is good value for money. The winder cost about USD175 and is available from one of Taiwan's biggest chain of watch shop.